$14.95 per child, Adults are always FREE! 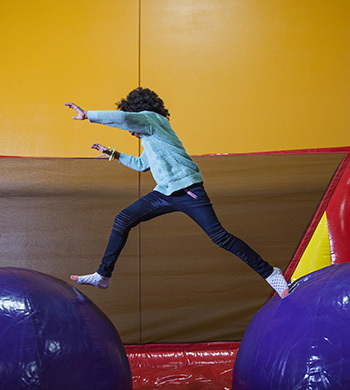 After school jumps are $7.95 for 70 minutes of jumping fun. These jumps are only during the week on regular school days! $7.95 per child, Adults are always FREE. Buddy Glow Jump! 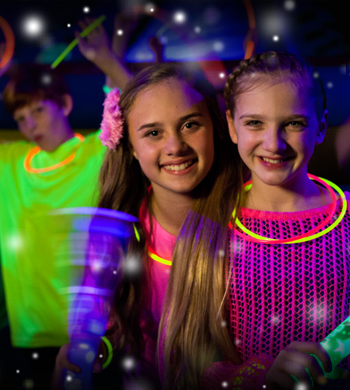 Bring a friend, school mate, neighbor or sibling to our Buddy Glow Jump & pay only $9.00 each bouncer. Must be buddied up for this special rate. Regular admission rate($12.95) applies for children without a buddy. 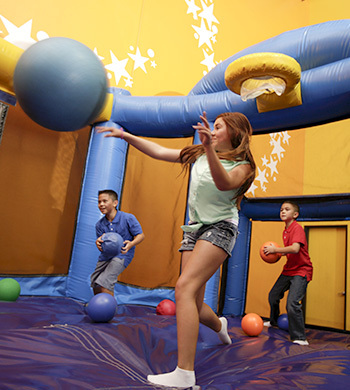 This bounce is 1 hour & 10 minutes of fun and exercise in both of our inflatable arenas. Bring a Buddy and have a blast!!! $18.00 for 2, adults are always FREE. 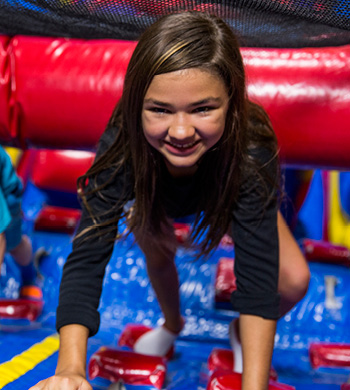 Come play on our giant, soft, fun-filled interactive inflatables during Pump It Up Family Jump Time! $10.95 per child, adults are always FREE. 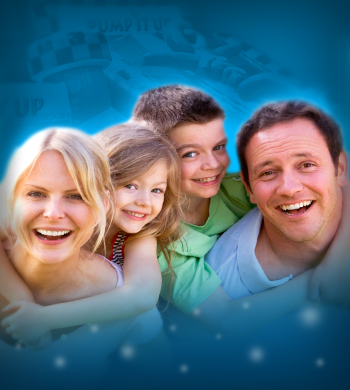 Bring the kids to this special Sand Art Jump that is 70 minutes of fun filled jumping and 20 minutes in our party room to create your very own Sand Art Craft. We have sand art necklaces, pens and novelty bottles to fill. 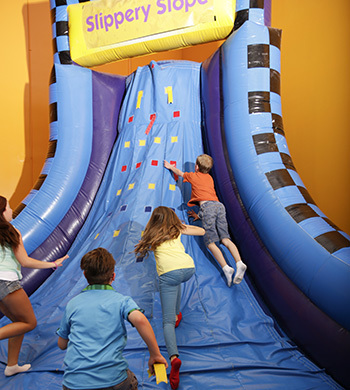 Each child will jump for 70 minutes and play games of chance to win prizes throughout our arenas. Join us for our ThrowDown and learn some new dances and perfect some old. Hot Dogs, Chips and drinks will be served along with special HoeDown ThrowDown activities in our arenas and party room. All kids will enjoy a special Rainbow Italian Ice after jumping in both of our arenas for 70 minutes. 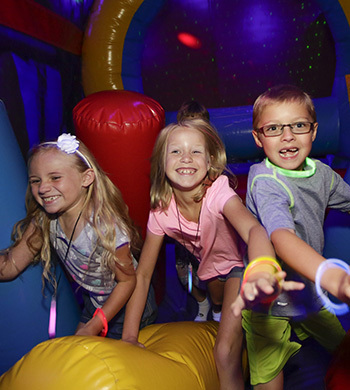 Each child can color the rainbow and have the chance to WIN prizes and FREE Jump Passes to come back to Pump It Up! Start your day off right with exercise, good fun, friends & breakfast. 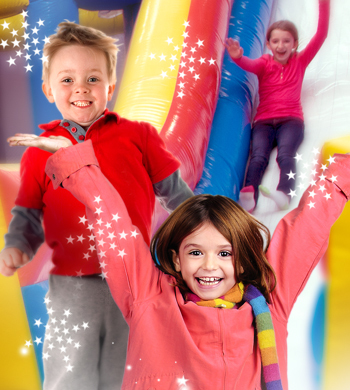 Our new breakfast bounce at Pump It Up is sure to please each and every child. We will serve breakfast Pump It Up style! "NEW BREAKFAST PIZZA" served your way!Choose from three styles of pizza... Scrambled Eggs & Cheese, Scrambled Eggs, Ham & Cheese Scrambled Eggs, Sausage & Cheese ***substitutes may be available upon request*** This is a fun way to serve a healthy breakfast after 1 1/2 hours of exercise through good old fashion fun & play. Drinks are included. $13.95 per child. $13.95 per child, Adults are always FREE!